Moist or dry, usually ± disturbed ground, including roadsides, railroads, fields, shores, meadows, rock outcrops, gardens; sometimes in quite marshy places or in aspen (or other) forests. Native North American plants have been segregated from the European ones as P. monspeliensis L. [or as P. norvegica subsp. monspeliensis (L.) Asch. & Graebn. or var. hirsuta (Michx.) Lehm.] It is quite likely that both native and European forms now occur here. 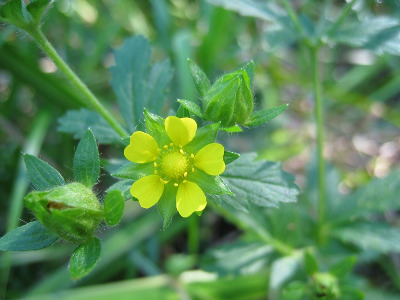 Plants vary a great deal in their stature and length of teeth on the leaflets. MICHIGAN FLORA ONLINE. A. A. Reznicek, E. G. Voss, & B. S. Walters. February 2011. University of Michigan. Web. 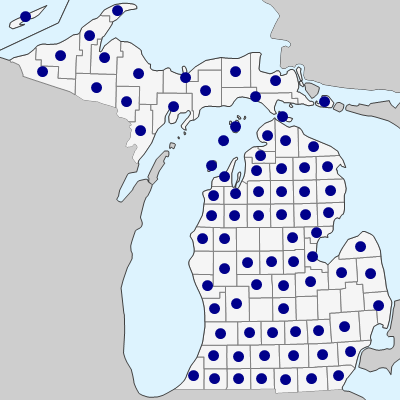 April 21, 2019. https://michiganflora.net/species.aspx?id=2508.